Directions from Kinsale Town Centre to the Hotel Kinsale: Distance: 3 miles, start out at Kinsale, Cork, continue forward onto Long Quay - R600, past the Post Office, continue forward past the Texaco station. At the turn off for Charles Fort, signified by a boat on the crossing, take a right, continue straight along this road for 1.5 miles, past the rugby club, the Carlton Hotel Kinsale is on the left hand side. The town of Kinsale is widely regarded as the Gourmet Capital of Ireland and is famous for its majestic harbour location, gourmet restaurants, superb golf courses, including the Old Head Golf Links, narrow winding streets and historical attractions.Â Kinsale is the most picturesque town in the South West of Ireland with one of the only remaining 17th Century star shaped forts in Europe. Very nice room, friendly staff. Had lovely time at the MacDonald, amazing view from our room. Room was very clean a bit tight for 3 beds but we were comfortable. Enjoyed the pool and spa facilities. Breakfast was 5 star. If we can we will return to the MacDonald. Kinsale is a lovely little neighbouring village to visit and Charles Fort was interesting. This is a very nice hotel located a few miles outside the town of Kinsale.The room was very nice, the hotel gardens and the leisure centre were very pleasant. The food in the restaurant was good however the staff in the restaurant though efficient could have been more welcoming, friendlier-there was no sense that they enjoyed their job. The bar area was very quiet with no entertainment provided other than the television. We stayed over October Bank holiday weekend. There was a jazz festival in Kinsale town over the weekend but nothing on in the Mac Donald hotel in the evenings. A bit of entertainment would be nice and would encourage visitors to stay in and spend some money in the hotel in the evenings. 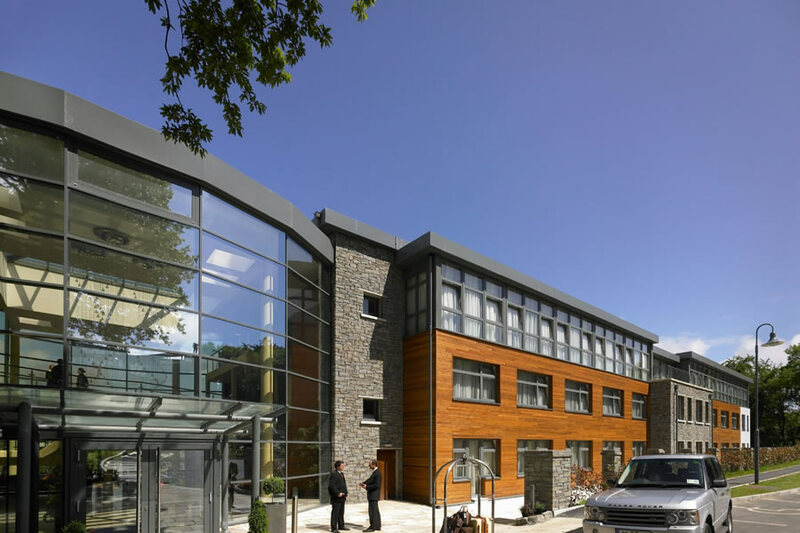 We booked a last minute break to the Macdonald Kinsale hotel over the October bank holiday weekend and really enjoyed our stay, as we have on previous stays there. The staff are very friendly and helpful. The rooms are very nice whether you opt for a bay or garden view. The views and grounds around the hotel are lovely. We really enjoyed the pool and steam room also. There were just a few small negative things: the breakfast could have been hotter and they no longer provide the shuttle bus service which means a taxi fare of approx. €12 into Kinsale However we would definitely stay there again. Stayed Friday 28th October 2016 for one night. Check in was efficient with smiling receptionist Katie room was lovely with view of bay and a comfy bed and pillows. Next stop was dinner in restaurant 2 course on our deal. Ordered one starter two mains and one dessert. Chowder starter was fine and tasty, two mains were way below standard, my wife who never complains even when its bad felt she had to say something. Her rib eye steak was more than 50% fat and was far from well done as ordered, my lamb was also very fatty I would think it was neck of lamb and could have been cooked more. Redenko the waiter did everything he could to satisfy us but said "the food should not have come out like that" he was totally embarrassed by the inadequacies of the kitchen staff. Kristian, Redenko and the young lady on duty continually asked were we now ok and we were offered one complimentary dessert and coffees to try and make amends. Having finished what we could of our meal we left, I felt that if I could have just got sick I may have felt better, did not eat much on Saturday as a result of how I felt ( no drink involved). We stayed in this hotel last year but did not eat. It is a lovely hotel in a lovely location but who ever Macdonald is, he needs to tighten up the kitchen staff and improve there performance. Given our experience of this hotel I will continue to remember it as one of the worst meals I have eaten world wide and will advise would be guests to stay but do not eat here. There are lots of nice restaurants in Kinsale. Leo Reddy Athlone. Great Hotel would highly recomend it. Great views, pool etc . Staff very friendly will be back again. Beautiful hotel on stunning grounds, incredible views. Lovely staff. The only down side was the breakfast. It wasn't great and the room we were in had a rug over big tears in the carpet. I just didn't think that was very nice. Bathroom was lovely. Modern hotel , would definitely recommend ! Very nice hotel set in beautiful surroundings. Friendly staff and great leisure facilities. Will certainly stay again. Lovely hotel in a beautiful location.The room was very nice and so were the staff. Lots of choice on the breakfast menu. Nice hotel. Lovely bedrooms with fantastic views. Very friendly staff. Nice food. The bar is located on the first floor away from reception and lacks a good atmosphere. Could do with relocating the bar to improve the atmosphere. Everything else was very nice. Lovely staff. Nice hotel (it could do with some re-upholstery around the hotel). Lovely pool, sauna, steam room, etc. It's a 5min drive from Kinsale but the hotel have a taxi service for €3 per head in and out of town. Stayed here on a recent work night away. Hotel receptionist was extremely welcoming and pleasant. My room was lovely suited me perfect for what I needed. Location very nice and hotel clean and modern. 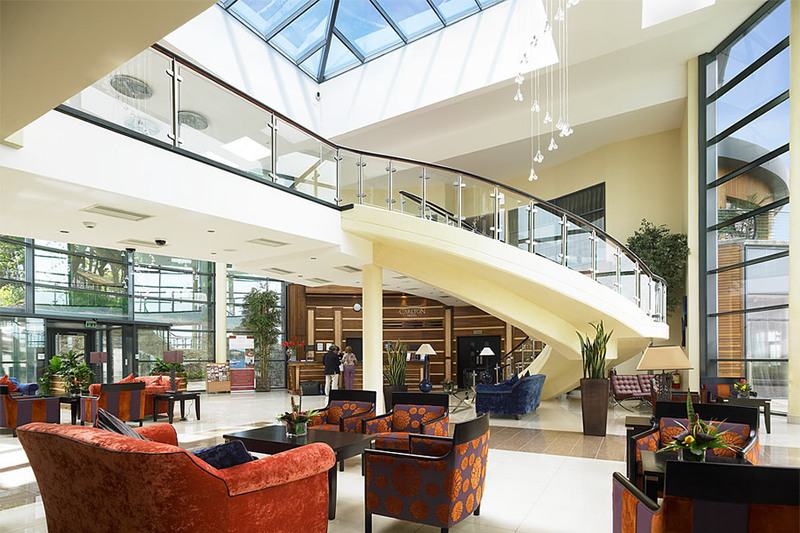 Only draw back bar on other level felt this could be better located and would get more business from staying guests if situated in the main foyer reception area other than that nice hotel and great value. On arrival we received a cold and clinical welcome. The receptionist was just short of saying "computer says no". When I asked for a nice room with a view I was informed that a room with a view of the bay would cost an extra €30 per night. This I paid as the alternative was a view of the car park and we were on our holidays. The room itself was a decent size but needed a good dust and a proper clean. Under one bed was an old orange and under the other was a babies soother. There were two small towels for four of us and the keys did not work. Both of these issues were resolved quickly. When we had settled in we decided to go to the bar/restaurant for a coffee etc. The place wasn't busy but it took twenty minutes from the time we ordered to the time we received our coffee. This was because chatting to each other was more important than serving customers. The tables, seats and floor were all neglected and needed to be cleaned after their previous occupants. The restaurant one the first night was a little chaotic with a distinct lack of managerial presence, for instance we had two different staff take our dinner order , one started and got distracted so another came to continue to take it. When asked for the A La Carte menu we were given one between two of us and finding egg on the cutlery makes the star rating of this hotel highly questionable. However the food was faultless. Breakfast on two of three mornings in the hotel was like a scene from Fawlty Towers, nobody seemed to know how to deal with a breakfast room in a busy hotel. The service was quite frankly non-existent with staff flapping about, sharing the one cloth to clean all tables (passing it from one staff member to the next) and all the while leaving the hot counter with queues of guests waiting to be served. On day two both of our keys failed to work. This in itself was not an issue. The lecture I received from the receptionist on where to keep the key was. When I returned a short while later with the same problem the receptionist gave me another lecture - with no apology or even hint of politeness. On the final morning of our stay we arrived in a different breakfast room, we were greeted and the children were informed they were welcome to order from a separate menu and nothing was an issue. The restaurant was calm, efficient and extremely friendly. It was the first time that we felt like valued customers. The leisure centre and its staff were excellent. The organised mini bus to the town is a great service. This hotel has many positives including location, facilities and good food, however valuing its guests all of the time should be paramount. Guests should never feel that they are an inconvenience to staff who are on the phone, computer or who are chatting amongst themselves. Stayed 3 nights in a room that was more like a sauna than a bedroom, the air conditioning did not work. Ask each day for something to be done was told that someone would be sent to the room to rectify the matter but no one ever appeared. Staff were less than helpful. Breakfast was poor . Have stayed in hotels with a lower rating but far higher standers than this hotel. Will not be going back. So glad I didn't pay full price. The hotel looked lovely as we arrived. We had to wait 10 minutes for check-in while the receptionist dealt with 2 phone calls. The room was an OK size. We'd asked for a cot for our infant but were given a camp bed instead. This was quickly rectified but the mattress on the cot was badly stained and should be discarded. The room we were in smelt like an old nursing home. The staff were nice. The pool in the leisure centre was under heated, most likely to save money. There were 3 high chairs in the bar/restaurant but only 2 table tops for these chairs. The chairs had no straps, despite having a sign on the chair warning us to strap our child in. The hotel does not deserve a 4-star rating and it is obvious that absolutely no money is being invested in running the hotel. We spent three nights in the hotel and could find no fault with any part of the operations. Rooms were very clean, staff were all very friendly and helpful, the leisure area was also to a high standard. The resturants at breakfast and dinner was really excellent. In all we had a great time and will return. Four of us had a lovely overnight break here Thursday 30th January. It was a relaxing stay,staff couldn't have been more welcoming and helpful. The room was very comfortable and spotlessly clean. While the two course meal in the bar area is restricted choice wise there is the option to upgrade to the restaurant ( extra cost). As there was a childrens' swimming lesson in progress on Thursday evening, we postponed our visit to the leisure centre until Friday morning but enjoyed ourselves hugely there. We then had a very substantial breakfast with plenty of choice so who could possibly complain for €49? We thoroughly enjoyed our bargain break at the Carlton Hotel and would definitely return. The pool was full of kids in the afternoon (Thursday ) so we waited until the morning... gorgeous pool, loads of jets and excellent Jacuzzi. Very helpful guy at Pool reception, very welcoming and informative. The meal on Thursday night was really fab, I had a blue cheese and roasted butternut starter followed by a scrumptious salmon and Mussel bake with yummy savoury crumble topping. I had glass of a South African House red which was perfect. We were to full for dessert but the choices were extremely tempting. The rooms were so comfy and immaculately clean. What a fabulous bargain! We have been telling everyone about it since! A decent hotel, the room and bathroom were a good size. The breakfast buffet and also the bar food served in the evening were good. Found the staff to be friendly and helpful. Had an issue connecting to the internet for the first 24 hours of our stay but this was eventually resolved. Also found the driveway into the hotel to be a bit difficult. The shuttle bus into Kinsale was helpful but was surprised that there was a charge of 3 euro per person each way. The view from the front of the hotel was fantastic, and although we didn't get to take a walk-the grounds looked lovely. Lovely hotel in a fabulous location. This hotel is set in a perfect location for the summer months. We had a beautiful view from our room. The food was great and the hotel staff were very friendly. The leisure centre is fantastic my 2 kids loved it. we would definitely stay again in the future. Stayed in the Carlton Hotel for 2 nights recently. We got a really warm welcome upon arrival. Hotel itself is very nice with amazing views. A little out of the centre of the town but there is a very good & reliable shuttle bus system in operation which was great. Food was very nice, breakfast was good too and very little queues. Very nice leisure centre with good size pool, sauna and steam room. Overall, a really nice hotel in a lovely setting. we stayed here for two nights in late August and we found the Hotel to be very nice - if a little bit outside Kinsale - I would say perhaps two miles. The room and the general areas were lovely but unfortunately the breakfast was not really up to "scratch". The bacon, sausages etc seemed to have been cooked a long time before we got there and were hard and difficult to cut - also eggs had been bried and just left to harden in the hot dish. Otherwise everything was good. I & D.
Family break with two children in this wonderful 4 star hotel. There is not many hotels these days that live up to their stars but this hotel did exactly that. Hotel is a bit out of town but the hotel puts a shuttle bus on. Hotel views are truely amazing. Breakfast, dinner and staff all made our trip wonderful. Excellent value for the price. Beautiful hotel grounds and stunning views from the bedroom window. The bedroom is very large and spacious. The meal was excellent on the first night but average on the second night. Breakfast is average. The leisure facilities are really good. A bit remote from Kinsale. Difficult to find driving there. There was no night time entertainment. Rooms excellent. A fridge and a safe would be helpful. Grounds excellent. Our Buffet breackfast was not fresh on two mornings. Had two wonderfull nights in this lovely hotel could not find any faults Food was great hotel spotless staff could not be nicer courtessy bus was great Sunshine was the top hat Be back again P.G. Really enjoyed our night at the Carlton Hotel. Food was excellent, staff were nice and friendly. Would recommend to anyone. Lovely hotel and surrounding gardens. The room was not sea view and we had to pay supplement to upgrade to sea view room. This should be specified when booking as I assumed there was no supplement. Only stayed one night but wished we could have stayed longer. So friendly clean and comfortable will return again soon. lovely hotel, friendly statt, very high standards overall. Very good food, fresh and tasty. lovely breakfast display. leisure facilities and treatments very good also. My wife and I stayed two nights (Friday & Saturday) and really enjoyed the stay. From the moment we arrived the staff were friendly and helpful and this was our experience throughout the two days. Our room was clean and tidy as was the hotel premises overall and the dinner we ate on the Friday evening was very good. There were a couple of small things which, although not enough to spoil the experience, were irritating just the same: It was extremely difficult to flush the toilet in our room. A considerable amount of pressure had to be applied to the button to make it work and, even then, the button had to be fully held down for quite a while. Given the fact that our room, and especially the bathroom was specifically designed to accommodate those with physical disabilities, I would expect all conveniences to be simple to operate. If I found it difficult, despite being able bodied, I am not sure how those less fortunate would cope. Regrettably, my wife and I are both smokers and regularly found ourselves on the terrace area adjoining the restaurant and bar. During our stay there were never any ashtrays to stub out our cigarettes. To avoid littering the ground, this resulted in us disposing of our used cigarettes in the large plant pot on the terrace. Judging by the number of butts previously discarded by others, ashtrays are always a scarce commodity here. The negative comments above were far outweighed by the good points the hotel has to offer. We would certainly consider staying again in the future and will be happy to recommend the hotel to our friends and family. 30/1-1/2 : our stay was fantastic. We opted for the d/bb offer. Everything From our arrival at reception to our departure the following morning was top notch. The room was lovely, warm and cosy with a beautiful view. Leisure centre/pool was great we really relaxed and enjoyed the health suite (no extra charge). We had a beautiful dinner in the restaurant, presentation of dishes was like fine dining and all delicious. The service was excellent and our waitress was friendly and helpful. Kinsale town is close by just a short drive and lovely for a browse around the shops. There are fantastic scenic walks nearby also. Overall a great place for a break away. We would definitely recommend The Carlton Kinsale to friends & family! Lovely stay in Carlton Kinsale, great setting, very relaxing. Staff extremely friendly. Food is really good. Loved the Sunday afternoon carvery with jazz band in the bar. Deirdre.